If you’re interested in restoring your smile, correcting crooked or misshapen teeth, or covering up severely stained teeth, porcelain veneers from Buckwalter Dental Care can improve the appearance of your smile. 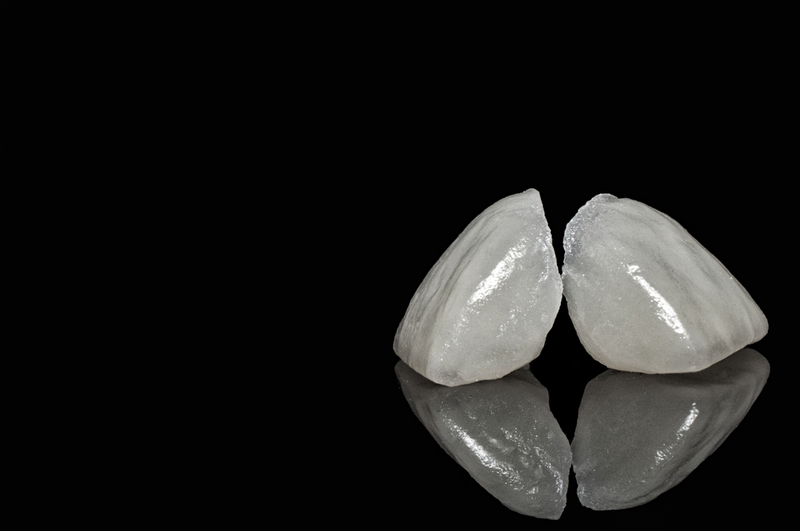 Porcelain veneers are an advanced dental prosthetic that is built out of strong and durable porcelain. Veneers are extremely thin, because they are designed to fit over your existing teeth, and replace the exterior chewing surfaces. They are used to cover up minor damage to teeth, such as small chips, as well as other issues like gaps, stains, and slightly crooked teeth. Veneers are only recommended for patients with healthy mouths, as they are not a restorative treatment and cannot be used to treat damaged, infected, or otherwise compromised teeth. Porcelain veneers are completely non-invasive, and the entire process of application usually takes only two appointments. After you’ve been chosen as a good candidate for veneers, Dr. Darrah will schedule your first appointment. At your first appointment, Dr. Darrah will clean your teeth and numb the areas that will be treated. Then, he will remove an extremely thin layer of enamel from each tooth that will have a veneer applied. This layer of enamel is equal in thickness to the porcelain veneer. It is removed to ensure that the veneer can bond perfectly to the surface of the tooth, for a seamless fit. Once the small amount of enamel is removed, he will take molds and images of your mouth. These are sent to an outside lab, where your veneers will be manufactured. You will be sent home with a set of temporary veneers, and you’ll come back in 2-3 weeks when your permanent veneers are finished. At your second appointment, Dr. Darrah will check the fit and finish your veneers to make sure that they are comfortable and properly shaped. If they are a perfect fit, he will then clean your teeth and apply each veneer using an advanced, permanent dental cement. Once your veneers are placed, the treatment is finished and you’ll leave our office with a brand new smile! There is a good reason that porcelain veneers are so popular. Here are just a few benefits of porcelain veneers from Buckwalter Dental Care. Completely natural appearance and feel – Veneers look completely indistinguishable from natural teeth. They also feel and function naturally. No special oral care required – Care should be taken to avoid chewing excessively hard objects like ice, or non-food objects like pens. Beyond this, there are no special oral care precautions required. Just brush and floss normally! Non-invasive and fast treatment – The entire process only takes a few hours, over just two appointments, and it’s non-invasive and painless. This makes it perfect if you have dental anxiety, or are nervous about dental surgery. Porcelain Veneers Now at Buckwalter Dental Care! If you are interested in restoring your smile with porcelain veneers, Dr. Darrah is here to help. He is an experienced cosmetic dentist, and can provide you with the best results in Bluffton! 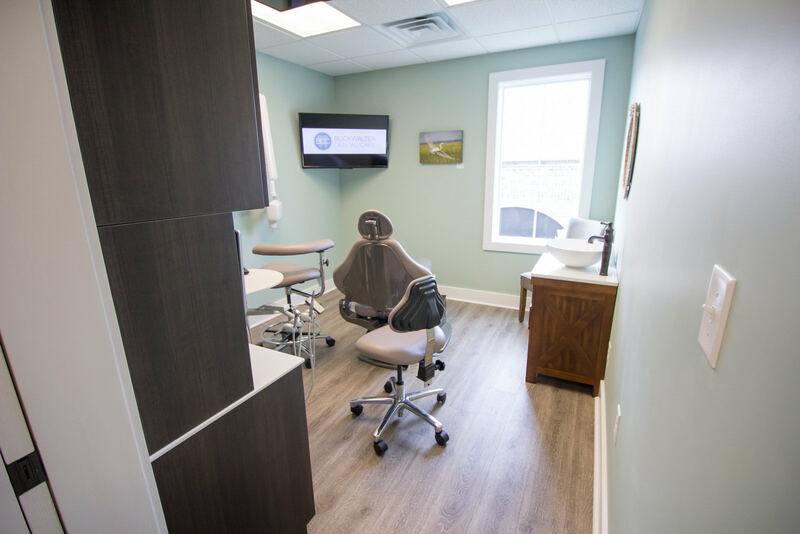 At Buckwalter Dental Care, we always keep you informed and offer honest guidance to help you make the best choices for your oral care. Dr. Darrah will explain the entire treatment process and help you understand if veneers are the right cosmetic option for your particular needs. Contact us to schedule a consultation today, by giving us a call at (843) 815-3232, or stopping by our office at 31 Innovation Dr, #2, Bluffton, SC 29910.